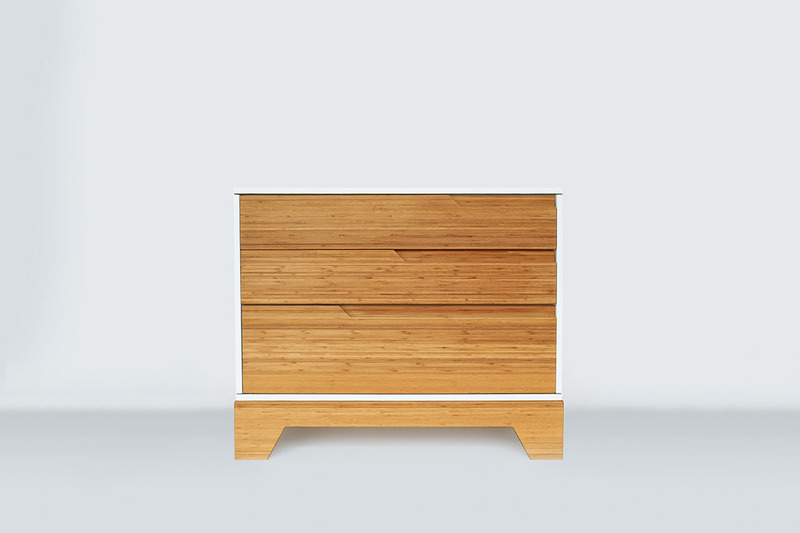 Solid bamboo, heirloom quality 3-drawer dresser with integrated drawer pulls. Inspired by the spirit of the past, the IoLine Dresser is a nod towards the longstanding American tradition of craft furniture. 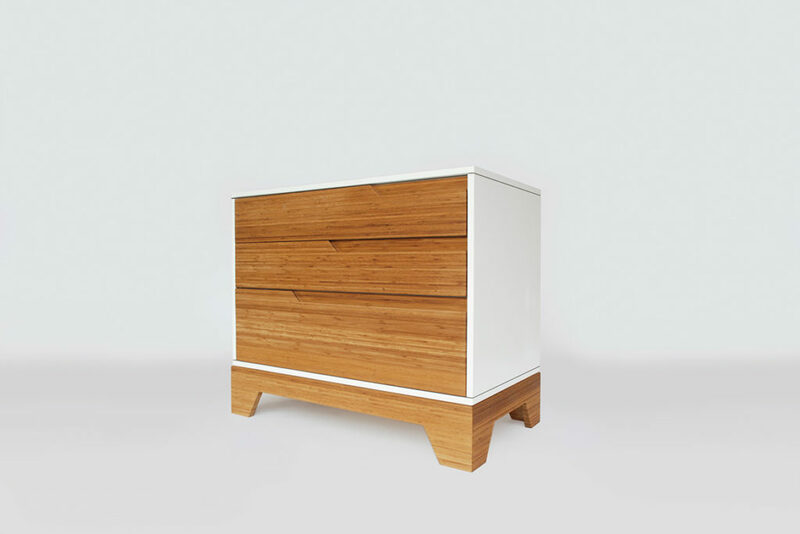 Uncompromising in design and quality, the IoLine Dresser is sustainably made from the highest quality, natural materials in the North East by the finest traditional craftspeople. • Made from solid FSC Certified solid Bamboo. • Lock miter joint case construction. 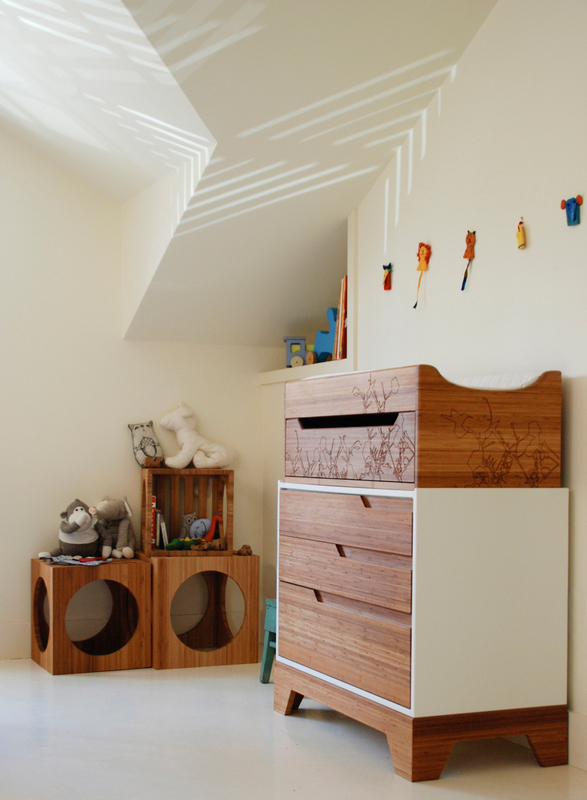 • Drawer boxes made from solid maple with a backstop for full extension. 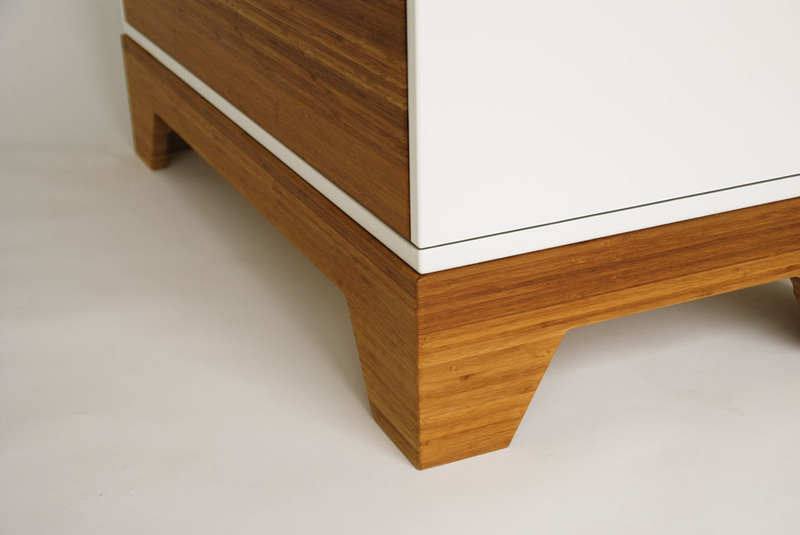 • Rear case panel and drawer bases are made from maple faced solid wood veneer ply for dimensional stability. • Each drawer can be easily removed. • Exterior bamboo parts are hand-finished with an oil-wax finish that carries a a SCS Indoor Advantage Gold Certification. • Painted cases use a water-based GreenGuard certified finish.